This luxurious, plied yarn in rich solid colors is perfect on its own, or to use in conjunction with Noro's stunning, multi-colored yarns. 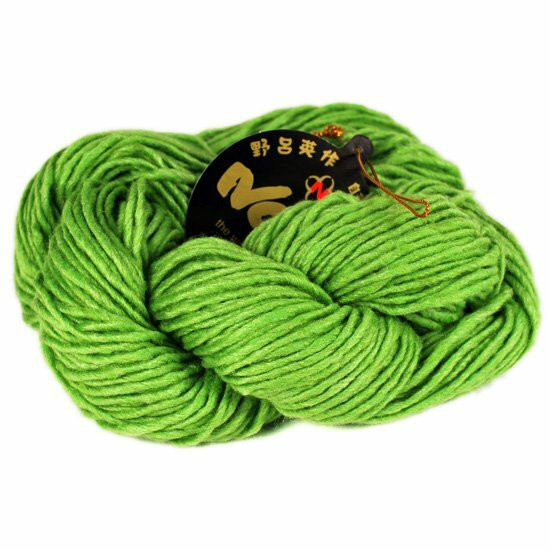 This Japanese yarn is 40% silk, 30% lamb's wool, 20% cashmere, and 10% nylon, and comes in 40 gram (91 meter or 100 yard) hanks. The gauge is 18 stitches per 4" square in stockinette. US size 6-7 needles are recommended.